As a young woman, I was a journalist, radio broadcaster, theatre critic and political commentator in Montreal, Canada, where I also translated Moliere plays for the CBC, both radio and TV, and taught English to French Canadians. Subsequently, I returned to England with my three children, earned a living doing PR for food companies, became an Incorporated Linguist (French) and Member of the Institute of Linguists, and lived for a time in France and Belgium, where I developed an interest in Jungian psychoanalysis. Then a complete change of career path when my children went to university: I became St John’s College, Oxford’s, first mature woman undergraduate in 1981, reading Experimental Psychology, and was invited to stay on to do a doctorate in social psychology. Combining journalism and psychology, I became the Founding Editor of The Psychologist, the official monthly journal of the British Psychological Society, where I worked for 7 years. 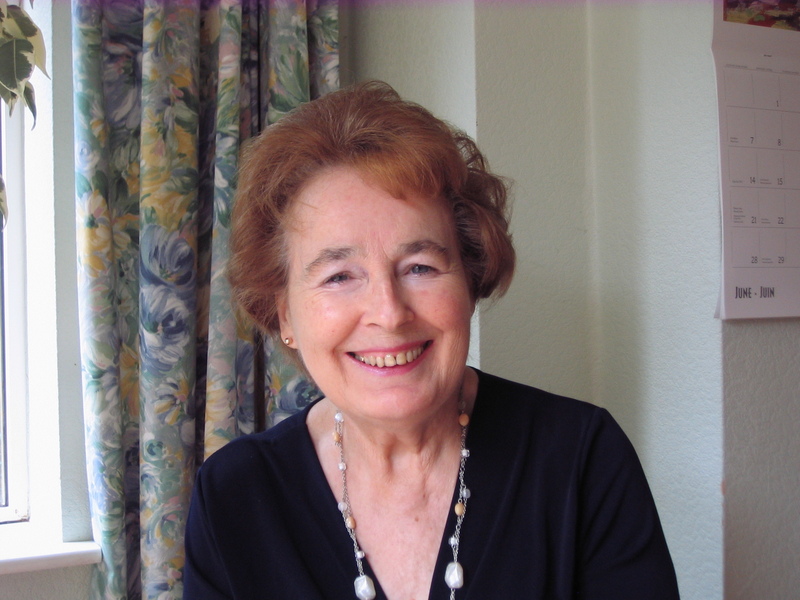 I trained as a psychotherapist, and until I retired in 2007, was in private practice in Cornwall, specialising in family and children, and was frequently called as an Expert Witness in the Family Courts. My dream had always been to publish books, and in 1998, Chatto & Windus invited me to produce an accessible version of my doctoral thesis, entitled “Rational Men and Disagreeable Women: the social psychology of argument“. Their title became “War of Words: Women and men arguing”, which I confess to finding unhappily cliched, but that was what the Marketing Department wanted. A smaller paperback was published by Vintage Press the following year. See Books section. While helping individuals and families, I developed a Life Planning Course, based on good psychological evidence, to enable people to make radical changes in their lives if that was what they wanted or needed to do. I ran Life Planning workshops in conjunction with the University of Exeter throughout the South West, and realized that it was possible to condense the essentials into a self-help book. This was published in 2004 under the title “Stop Dreaming, Start Living” by Vermilion Press, and is still available in print. See Book section. Time to make my own dreams come true. I retired in 2007, at the age of 70, and turned to writing fiction. My first novel The Amazon’s Girdle is at last in print and on Kindle, and available on amazon.co.uk: – see also Book section. Dr Mapstone, are you alright? I’ve been a great advocate of yours ever since meeting you in the last century when you gave me an enormous amount of help & clarity. I’m looking forward to reading your latest book. Dear Elizabeth, thank you, I’m not much good either. I really do hope you are well. Nice to hear from you again. I do hope you have read my two novels now out as I was too ill to set them on the right course! Novel 1 – The Amazon’s Girdle, novel 2 – The Porcupine’s Dilemma. The last was accompanied by my being rushed to hospital, so it never got a proper launch at all. A few people have read it (see their encouraging reports on line) – so my third novel, to be published SOON, will also I HOPE finally get into bookshops!